Jeremy Rifkin is an American economist, writer, public speaker, political advisor and activist. He is the founder and president of the Foundation On Economic Trends. Rifkin’s work explores the potential impact of scientific and technological changes on the economy, the workforce, society, and the environment. Back in 2004, Jeremy Rifkin published his book The European Dream: How Europe’s Vision of the Future Is Quietly Eclipsing the American Dream. 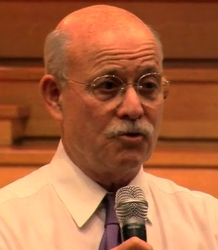 Rifkin described Europe as an economic superpower rivaling the United States. He observed that Europe had become a giant laboratory for rethinking humanity’s future.